Wheat has long been revered throughout time as a grain of huge significance and importance. However, in the last few decades we have started to see many negative effects of the grain. In particular the gluten in the grain and what it is doing to a small but growing percentage of the population. According to the Mayo Clinic wheat is one of the top eight most allergenic foods. Gluten is found in wheat, barley and rye. It consists of two proteins – gliadin (a prolamin protein) and glutenin (a glutelin protein). To those who have a sensitivity to gluten (this auto-immune condition is known as Celiac Disease) it can cause a chronic inflammatory response to the gastro-intestinal tract with symptoms like diarrhea, nausea, stomach cramping, bloating and abdominal pain. Other symptoms can include weight loss or gain, joint pain, anemia, depression, fatigue as well as skin rashes, eczema and skin reactions. In the 1990’s it was thought that the number who suffered from gluten sensitivity was around 1 in 10,000. In the past few years that figure has changed to around 1 in 100. Regardless of the belief that ‘gluten-free’ has become fashionable for those acutely affected by gluten sensitivity it is very serious. Being aware of purchasing products that do not contain gluten can be one of the most important things a sufferer can look for. Sadly, huge food corporations have caught onto the purchasing power around ‘gluten-free’. It has become a major marketing ploy that is not always about health. Just because a manufacturer has taken the gluten out of a product, it might still contain other detrimental ingredients or traces of gluten. It really is a case of ‘buyer beware’. It is no different in the personal care and cosmetics world. People who are sensitive to gluten, are told to avoid all skincare and personal care products that may have gluten in them. Others are told small amounts won’t affect them. Perhaps it is more about doing your own research, then bio-hacking – in other words testing the product on yourself. Write down if you react or not and then see what works best for you and your body. According to a September, 2012 analysis published in the Journal of the Academy of Nutrition and Dietetics, “individuals with celiac disease should not be concerned about products applied to the hair or skin, especially if the individual washes his or her hands after use. Individuals who are concerned about gluten in cosmetics that are applied to the lip or may be ingested should avoid products that contain wheat, barley, malt, rye, oat, triticum vulgare, hordeum vulgare, secale cereale, and avena sativa. The following ingredients are a source of gluten. * Oats are not technically a source of gluten, but can become cross-contaminated when processed in a facility that also handles wheat, rye, or other gluten-containing grains. If we consider, ‘wheatgerm’ one of the gluten-containing grains listed above, you might think it would affect a gluten-sensitive individual if it was in their skincare. In this case it could depend on whether it was refined or not. Refining the oil will remove traces of gluten. Unrefined oils may still have traces of gluten. However, tests have shown that wheat germ oil is gluten-free according to the US FDA definition which means it must not contain more than 20 parts per million of gluten. When we look back in time to see when wheat was introduced into beauty and personal care it is believed that it was the middle-ages, potentially since 2000BC. Oatmeal baths have been used since ancient Roman and Greek times. The role of products containing gluten in skin care and hair care perform various functions including volumising, thickening, conditioning, exfoliating, moisturizing and emulsifying. These are all necessary functions that could, theoretically be performed by non-gluten containing ingredients. Whilst it does not seem to be as politically driven as in the food industry the beauty industry is starting to capitalize on the whole ‘gluten-free’ marketing ploy, even if they did not have any products containing wheat. By adding ‘gluten-free’ to the front of the label certainly increases potential sales from people who are sensitive to gluten. Consumers may not have direct access to the literature like a chemist or manufacturer does, which identify gluten free ingredients. However there are a couple of websites which contain lists of food ingredients to avoid, such as Celiac.com and Glutenfreern.com which lists cosmetic ingredients to avoid and suggest brands that are gluten free. 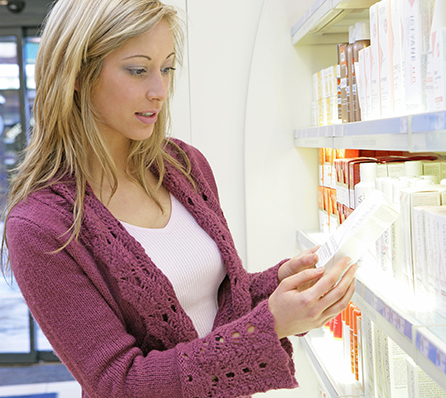 Should I avoid personal care products and cosmetics that contain gluten ingredients all together? The general scientific consensus states that gluten ingredients applied topically have molecules that are too large and therefore cannot penetrate skin and affect the small intestine. However, applying gluten products to open wounds or the lips means some amount of absorption or ingestion could occur, so you should definitely avoid lip-care or lip colour products with gluten ingredients. For more information on what is contained in gluten-free skincare and whether people who have a gluten sensitivity would actually benefit from using it click here. Thompson T, Grace T. Gluten in cosmetics: is there a reason for concern? J Acad Nutr Diet. 2012;112(23):1316-23. Useful info. Thank you. I am weary of standing in aisles of health and beauty products, squinting to read ingredients on hair care products and cosmetics. The pricy Aveda products that my salon recommends use wheat derivatives in most of their product line. Why don’t these companies switch to rice starch or corn oils? I can’t tell you how many face powders I have purchased that gave me a reaction. Shampoos, conditioners, and styling products, even in expensive lines, just seem to be unable to make the switch. Personally, I seem to have a wheat allergy rather than a gluten sensitivity. In my case it may be the hybridized grain that my system bristles against, since I tolerate spelt with no reaction. Sample sizes would sure be appreciated. I would really like to know what brands Cindy uses and recommends that are available in North Queensland. I know Cyndi uses all of Twenty8 products as they are local to the Sunshine Coast and chemical-free. There are also many other types of organic and chemical free make-up brands online and in health food stores (Inika and 100% Pure are great brands). Thank you! It’s so difficult to navigate non-food products. And after months of celiac symptoms I’m redoing all my cosmetics and soaps AGAIN. Does anyone have information on contact lens materials and cleaning solutions? What about transglutaminase, endomysium,and gliadin peptides?